The Perfection premiered at last year's Fantastic Fest and was one of the most talked about movies to debut at the event. The movie is an elegant and terrifying suspense ride filled with unexpected twists and turns. When troubled musical prodigy Charlotte (Allison Williams) seeks out Elizabeth (Logan Browning), the new star pupil of her former school, the encounter sends both musicians down a sinister path with shocking consequences. The trailer teases these elements while adding some pretty gross-out body horror and subtle dark humor. Netflix acquired The Perfection after the Fantastic Fest premiere and is set to release the horror movie on May 24th. Right away, the trailer is intense and is almost too much to take in, leaving one to imagine the movie is going to be just as fast paced and thrilling. However, early reviews for the movie reveal that there is a lot more going on under the surface than we originally think and it's not as fast paced as the trailer would lead one to believe. With that being said, The Perfection is one of the movies you want to know less about before you sit down to enjoy it. Allison Williams had this to say about her upcoming project. "If you were to stop the movie every 20 minutes and be asked what it's about or what you think is going to happen, you'd be wrong - until the movie's over." The Perfection director Richard Shepard likens the project to Brian De Palma's Dressed to Kill and Sisters as movies with a "B-movie attitude" dressed in "A-movie aesthetic." Allison Williams says, "people masquerade as one thing, but continue living another life," when trying to be as vague as possible in describing The Perfection. When it comes down to it, Shepard has a few other movies for horror fans to check out before watching his latest. He explains. "I'm a big fan of Korean director Chan-wook Park and his thriller-horror movies Oldboy and The Handmaiden. There are so many crazy twists and turns, yet they somehow make sense because they're character driven. I really wanted to try that in an American movie." There are sure to be some comparisons to Get Out, but we're only looking at the trailer here. Plus, Jordan Peele did include a scene with an arm full of roaches getting chopped off. 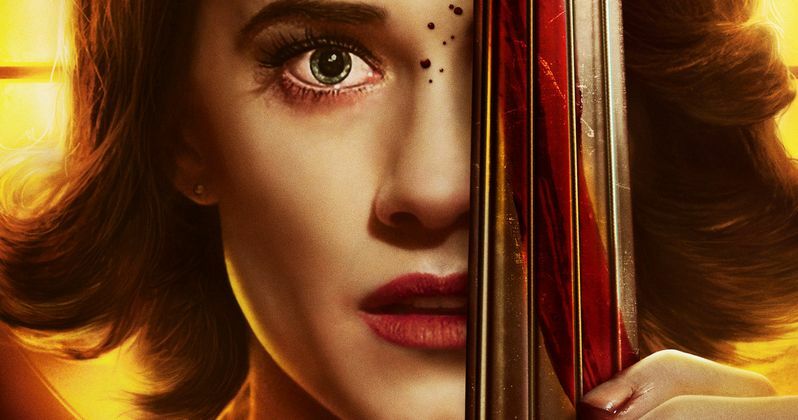 Allison Williams is taking her creepy side to a whole new level in The Perfection and it looks like a must-see for any horror fan. You can check out the trailer below, thanks to the Netflix YouTube channel.